Each member of our executive team sets our standards to ensure that Aspermont is committed to business excellence while maintaining our high levels of responsibility and ethics. 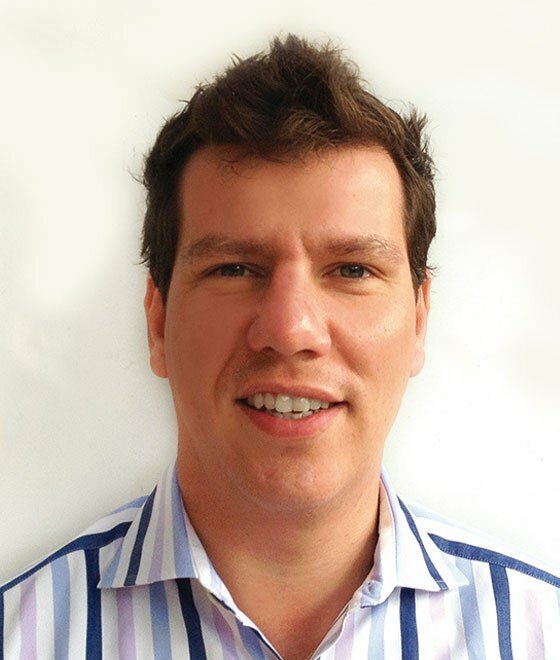 Since joining the company in 2007, Mr Alex Kent has worked across all divisions of Aspermont Group. During this time, he has built up an extensive knowledge of its product portfolio and been a key influencer in the overall business vision. He is currently the Group's Managing Director but has held previous executive roles in both marketing and digital strategy. Having previously graduated through Microsoft's Executive Academy and with a double honours degree in Economics, Accounting and Business Law, Mr Alex Kent brings further depth to the Aspermont board and operations as the Group continues its digital evolution. 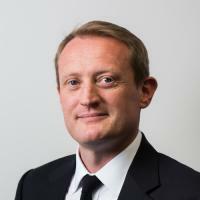 Mr Alex Kent joined the board as an Executive Director and holds a number of other private company directorships. "Having transformed itself over the last three years; at almost every level of the organisation Aspermont has a unique opportunity to deliver high growth over the next few years both from a revenue, earnings and a shareholder value perspective. That growth will be achieved through the development of our core business, leveraging that model into new markets and identifying targeted acquisition where they fit our overall strategy and provide earning accretive results. The company's long-term vision may not have changed since 2003 but the capacity, capability and focused approach to delivery today are markedly different. We have built an exceptional team within the business not just at the management levels but throughout the entire organisation. Focusing on people, skills and capacity will hallmark our development as a company going forward. Having worked at Aspermont since 2007 there has never been a more exciting time. It is now all about focus and delivery." 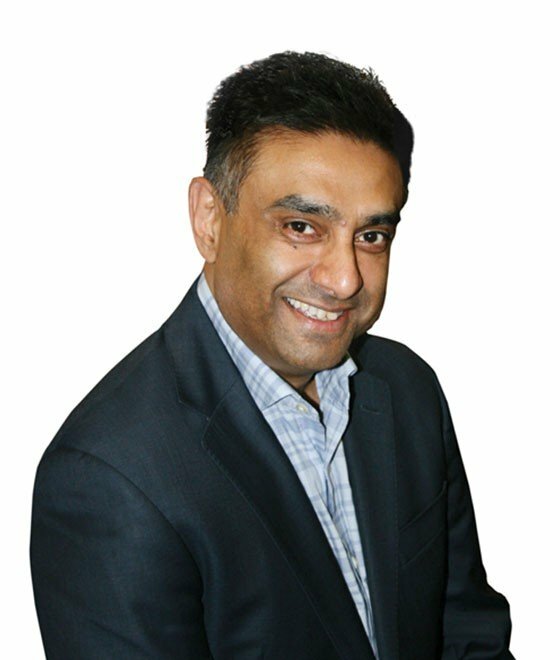 Ajit has more than 30 years of experience in the media industry, working across print and digital media, events and market research. Before joining Aspermont in 2013, he worked for Incisive Media in London, where he was responsible globally for infrastructure, software development, online strategy, vendor management and large scale systems implementation and prior to that he was the CTO for VNU (now Nielsen). Ajit is responsible for Aspermont's online strategy implementation alongside managing the IT, Digital, Production, Marketing, Editorial, Subscription & Event functions across the group and all external providers. His role reflects the Group's priority to further strengthen its online presences and internal systems. "I came to Aspermont because I saw an opportunity for the company to truly dominate a global industry the size that mining is, from an end to end media perspective. Moreover and despite its size, Aspermont had demonstrated technological leadership in both digital subscriptions and paywall solutions, which had been implemented before any other media company was even thinking this way. The company had a clear vision of how it wanted to develop both as a business and technologically and given my experience in building similar models and platforms at Incisive Media and VNU (now Nielsen) I believe I could help them realise that vision with the knowledge that their Executive team knew exactly it would be a total transformation of the business and culture to enable us to deliver on the ambitions. Project Horizon (PH) was the architecture to help Aspermont build a technological framework that would enable it to meet it business goals. With the rollout of all brands onto that platform we have already seeing great growth in subscriptions and digital revenues. What excites me most about Aspermont is the fact the we have only just started the journey with our market leading content and there are so many products and facets we can bring into our media solution that will enhance profitability not just in mining but all the other sectors we scale to." Mr Khimasia has significant and relevant experience in financial management, business development and transformation in entrepreneurial growing companies in the global B2B sector. 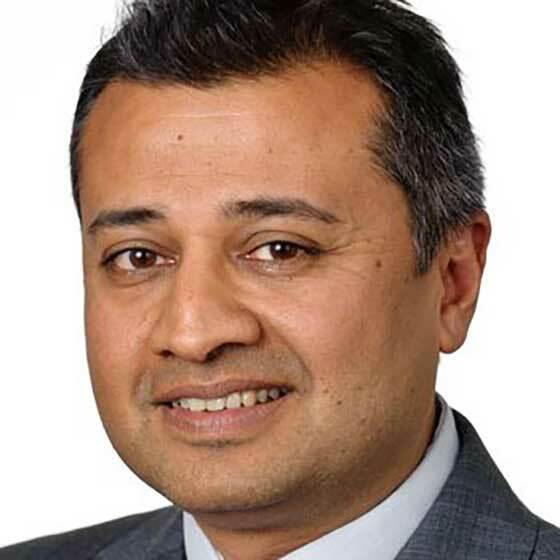 Over the past 8 years Mr Khimasia held CFO and General Management positions at Equifax UK & Ireland, part of Equifax Inc., one of the world's largest information solutions providers, with responsibility for developing UK & Ireland business. His experience in developing information solutions, big data and analytics will add great value to Aspermont in optimising the benefits of Project Horizon. "Aspermont's positioning in its markets and the blue chip client bases it serves, reflects both the credibility and leadership of its brands and also the opportunities it has to leverage them going forward. The company has spent nearly 20 years building and refining its subscription-based digital media solution to a point of realising scalability. It has also in the last three years restructured its entire operating structure to maximise new growth. With new systems, process and people in place it is an exciting time both for Aspermont and for us that work there." "Having worked in the Technology industry for 20 years, I have seen the rapid shift in the media and publishing landscape. With the chase for scale, many B2B publishers have forgotten the core value of quality content and audience quality. Aspermont have led the way with their paywall platform and international coverage across the Global resource industry, but at no stage compromising on editorial quality. As a specialist publisher, they are at the forefront of audience engagement backed by high value brands. This is supported by a hugely talented team that bring innovation and passion to the business. I believe this has uniquely placed Aspermont at the very forefront of delivering the best solutions and services to our global partners. I am excited to be leading the commercial growth of Aspermont during a very exciting phase for the business." Leah joined Aspermont in 2018 with over 18 years experience in HR, gained internationally across a range of industries including media, technology and retail. Prior to joining, Leah had led a number of HR functions within technology start up environments and supported their transition to become more established, efficient businesses. 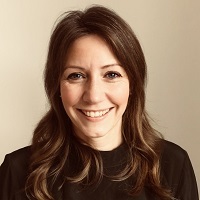 She also headed up European Talent Development at Activision Blizzard, leading on European initiatives where she had a strong focus on leadership development and the digital transition. Leah's role at Aspermont was another key position that had been newly created and emphasises the importance of our people. She will lead on developing and executing our People Strategy, which supports both the overall business strategy, but also the attraction, engagement, development and retention of our amazing people. Do you want to join a dynamic and fast-growing events and media company? Are you ready to take on the role that is highly international and serving a North American client base? Aspermont Media is looking for a Business Development Manager to help us reach North American markets. We are looking for an experienced sales professional who can take ownership of client relationships and drive revenue growth on a world leading media portfolio and a ground-breaking global events series. Over the last 20 years, Aspermont Media has been at the forefront of development in new media technologies to enable an expanded and enhanced delivery of its content services. The company provides leading global marketing solutions for the natural resources sector. Our sales channels encompass online media, live events, print publications and bespoke marketing services. There is no doubt that Aspermont is an established leader in the delivery of paid content across all areas of the mining, energy and agricultural industries. What are you waiting for? If you think that you could be the Business Development Manager that our clients are looking for, please get in touch! We are looking for a Conference Producer to join our London team. This is a fantastic opportunity for a producer to develop and run a US based conference, building on a well-established publication and event brand. The individual will be responsible for researching and developing global conference programmes tailored to the global mining industry. The successful candidate will be expected to take on a high degree of ownership, autonomy and responsibility for the production and project management of new launches. We are on the hunt for a committed and motivated media sales expert to take on an exciting sales executive position. You will be working across a major news platform in the agricultural sector and be the daily point of contact for established clients in the composition; delivery and reporting of highly effective online display and content solutions. Post campaign you will provide campaign analysis and recommendations in order to improve future and upcoming campaigns to best meet marketing objectives. This role requires exceptional organisational and communications skills and the desire to continually upskill in order to remain up-to-date in an evolving media industry. As a trusted advisor, you'll be imbedded in their daily processes, understanding them and their product intimately. Building on an already strong relationship will be a large part of this position, seeing you help client define both strategic and tactical solutions. Reporting to the Sales Manager, you'll be part of a fantastic and energetic team. You'll need to love working in a fast paced environment, taking on exciting challenges and learning new skills. This is a client facing role, so we need someone who is highly communicative, professional and well presented! This is an opportunity join a progressive publisher at the forefront of delivering quality content to key sectors of the economy. Aspermont Ltd is proud to be an equal opportunity workplace dedicated to pursuing and hiring a diverse workforce. Please note, due to the high volume of applicants we are unable to take phone calls regarding this role and cannot reply to every applicant.